It's late January and winter has finally caught up to us. The region was hit by a blizzard and we continue to dig out and wait to get back to work and school as roads and sidewalks are cleared. It was a BIG storm and will take BIG time to recover. Colder temperatures will most likely remain with us through the end of February and we know everyone would like to stay warm. The Prince George's County Fire/Emergency Medical Services (EMS) Department (PGFD) wants everyone to stay warm safely. Don't be blinded by the big snow and lose sight of good common sense fire safety habits. The Department is reminding everyone that home fires are more prevalent in cold weather than in any other time of the year. This is due in part to an increase in cooking and heating fires. This reminder involves the safe use of space heaters and general heating safety tips. The civilian, volunteer and paid men and women of the Fire/EMS Department want to remind everyone that fire safety and prevention are especially important during times of cold temperatures. Temperatures drop and fires increase. According to National Fire Protection Association (NFPA) statistics space heaters account for about one third of the home heating fires yet more than 80 percent of the home heating fire deaths. Cooking and heating are the top causes of fires during cold weather. Colder winter temperatures brings the highest number of home fires than any other time of year. Every cold weather season, home fires increase in part due to cooking and heating fires. Fire safety and injury prevention must not be lost in an effort to stay warm. Stay warm and do so safely. The Prince George's County Fire/EMS Department recommend the following safety tips for space heaters. · Buy only heaters evaluated by a nationally recognized laboratory, such as Underwriters Laboratories (UL). · Check to make sure it has a thermostat control mechanism, and will switch off automatically if the heater falls over or if placed too close to an object. · Heaters are not dryers or tables; don't dry clothes or store objects on top of your heater. · Space heaters need space; keep combustibles at least three feet away from each heater. · Always unplug your electric space heater when not in use. · Turn off at night or whenever you sleep. · Never use an extension cord with space heaters - plug directly into wall socket. · Remove the kerosene heater outdoors, turn off and wait for it to cool down before refueling and only use the correct type of fuel. • Furnaces, fireplaces and chimneys should be cleaned and checked each year by an appropriate professional prior to using. Clear away any clutter from these heating devices, at least 3 feet away. • Only use seasoned wood in fireplaces, never use ignitable liquids to start a fire and do not overload your appliance. • The 3-foot rule also applies to furnaces and fireplaces. No combustibles items within 3 feet of these heating appliances. • Dispose of fireplace ash into a metal container and store outdoors away from structures on a concrete surface. Fireplace ash can ignite a fire days after they have been discarded. Finally, ensure your smoke and carbon monoxide (CO) alarms are working by pushing the test button on the front cover. Your alarms should be tested monthly on the first day of every month - Safety First Day of the Month. If you do not hear an audible warning, replace your alarm with a new 10-year, tamper proof, with hush feature alarm. Having a working smoke alarm on every level of your home, in hallways just outside of sleeping areas and in every bedroom in addition to a exit drill in the home plan and practiced dramatically increases your chances of surviving a burning home. Remember to sleep with your bedroom door closed. A working CO detector will protect you and your family from deadly "silent killer" fumes that may be building up in your home. Remember to practice a home escape plan frequently with your family. For additional information from the USFA on Winter Fire Safety; click here. 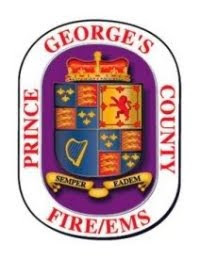 Residents are encouraged to utilize Prince George’s County’s County 311 system to obtain information about public services and obtaining a smoke alarm installed in your home.